Wichita State defeated Southern Illinois and Northern Iowa to start conference play at 2-0. The Shockers host Illinois State in their next game on Wednesday. Harvard defeated Boston College and Rice last week to extend its winning streak to nine games. With a win at Connecticut this week, the Crimson would probably crack the national Top 25 rankings. Gonzaga has dominated the WCC through four games, winning every matchup by at least 14 points. The Zags will hit the road this week to face Portland. Toledo fought hard at Kansas, but its undefeated season came to a close in Lawrence. MAC play begins for the Rockets on Wednesday night at Western Michigan. Southern Miss picked up a quality win against Drexel on Friday for its fourth straight victory. The Golden Eagles begin Conference USA competition at North Texas on Thursday. Indiana State looked sharp in its first two Missouri Valley games, defeating Loyola Chicago and Evansville. The Sycamores will face Drake and Bradley this week. Green Bay won its first two Horizon League games at home against Cleveland State and Youngstown State. The Phoenix begin a four-game road trip at Chicago State on Tuesday. 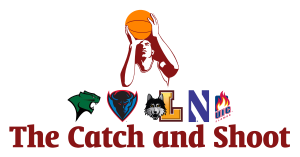 Louisiana Tech picked up a huge win at Oklahoma last Monday and then easily defeated Longwood on Saturday. The Bulldogs start Conference USA play Thursday against Florida Atlantic. Manhattan has cruised to a 4-0 start in MAAC play, with their four wins coming by an average of 14.5 points. The Jaspers will be challenged at Quinnipiac on Thursday. North Dakota State easily defeated Mayville State in its final non-conference matchup. The Bison begin Summit League play on the road at IFPW and IUPUI. New Mexico State won by 22 points at Grand Canyon on Saturday in its WAC opener. The Aggies will host Seattle and Idaho, two of their main contenders for the conference title, this week. UAB had no trouble improving to 11-3 against Newberry on Saturday. The Blazers start Conference USA play at Middle Tennessee on Saturday. Charlotte easily defeated North Carolina A&T in its final non-conference game. The 49ers will play at UTEP and Texas-San Antonio this week to start their first season in Conference USA. Princeton defeated Liberty on Saturday to finish 11-2 against Division I non-conference opponents. The Tigers’ Ivy League opener is Saturday at Penn. Ohio won at UNC-Asheville on Saturday in its final non-conference game. The Bobcats face in-state rival Kent State on Wednesday. 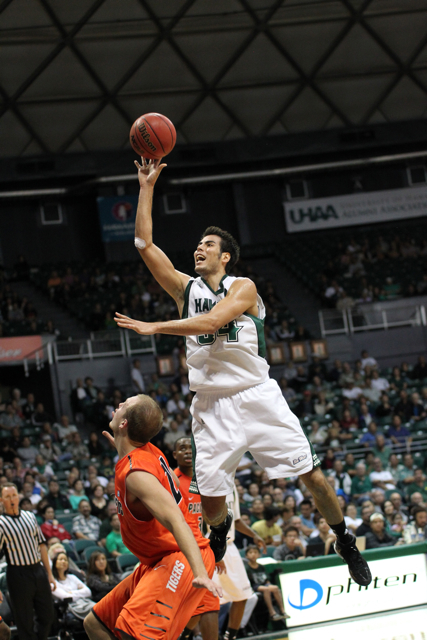 With a win over Nebraska Omaha on Friday, Hawaii’s winning streak is now four games entering Big West play. The Warriors begin conference play at Cal Poly and Cal State Northridge this week. UC Santa Barbara has won three straight game entering Big West play, which begins Saturday against Cal Poly. Western Kentucky is off to a good start in conference play with road wins against South Alabama and Troy. The Hilltoppers face Georgia State in Thursday’s conference home opener. Stephen F. Austin is up to its usual tricks in the Southland with a 2-0 start. The Lumberjacks will play their first road games of 2014 at Houston Baptist and Texas A&M-CC this week. Drexel struggled at the end of non-conference play, losing three of its last four. However, the losses were all to good teams in St. Joseph’s, Buffalo, and Southern Miss. The Dragons face another tough matchup at William & Mary to begin CAA competition this week. Eastern Kentucky had no trouble in its OVC opener at Eastern Illinois, but the Colonels were then upset by SIU-Edwardsville. They host Murray State on Wednesday in their conference home opener. Belmont survived close games in its first two OVC contests, defeating Jacksonville State and Tennessee Tech. The Bruins start a four-game road trip at Southeast Missouri State on Thursday. St. Mary’s was blown out by Gonzaga, but the Gaels rebounded with a solid win at Portland on Saturday. They return to non-conference play when they host William Jessup tonight. Missouri State came from behind to defeat Illinois State in its MVC opener, but the Bears were blown out by Loyola (Chicago) by 32 points on Sunday. The Bears’ road trip finishes at Bradley on Wednesday. Eastern Michigan ended a two-game slide with a win against Rochester on Saturday. The Eagles begin MAC play this week on the road against Bowling Green and Buffalo.